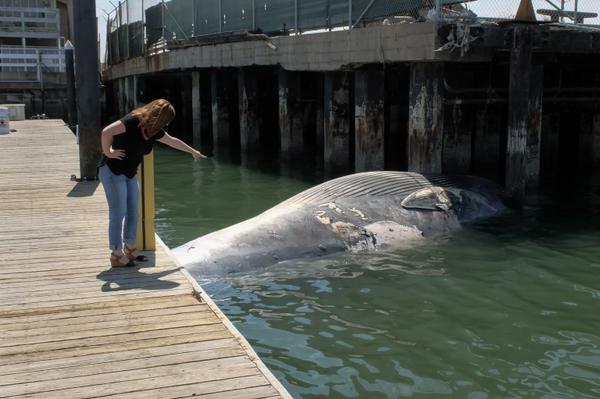 ALAMEDA, Calif. (KGO) -- A John Beery Yachts employee found a dead whale under a dock in Alameda at 6 a.m. on Wednesday. 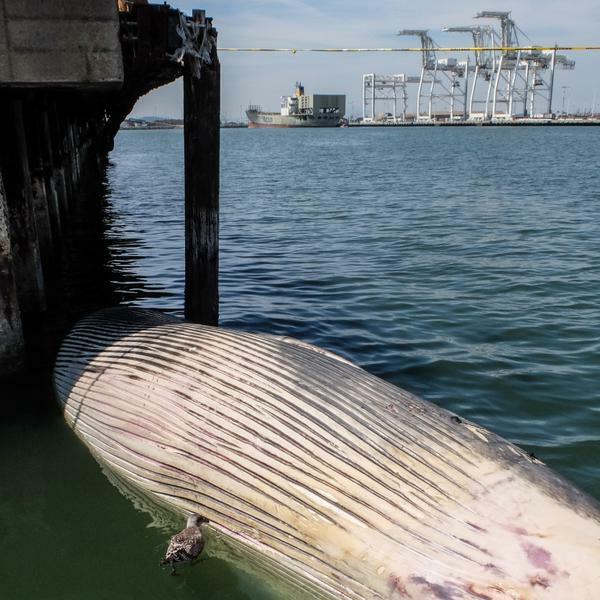 The dead whale is at least 36 feet long and was found floating in the Oakland Estuary. 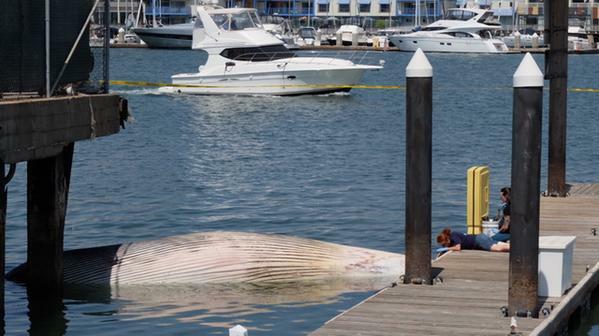 Researchers arrived at the scene to take tissue and blood samples to determine what kind of whale it is. 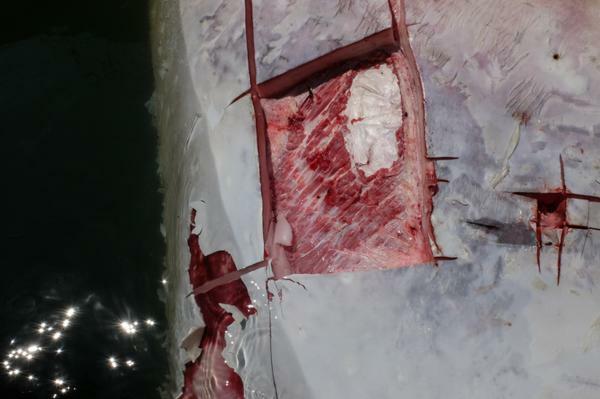 Right now, it is hard to tell because its head remains submerged. 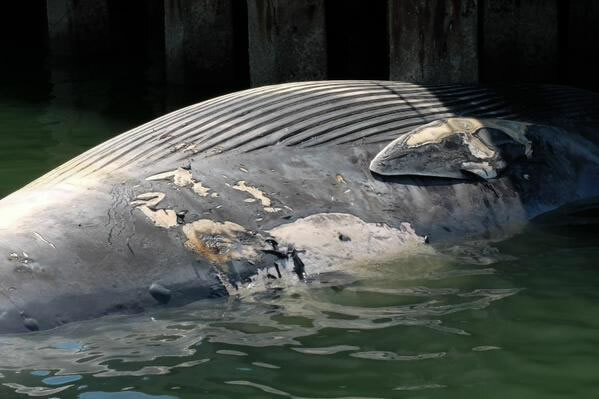 The dead whale is the latest of several that have turned up in the Bay Area, including three found on the shores of Pacifica since April. 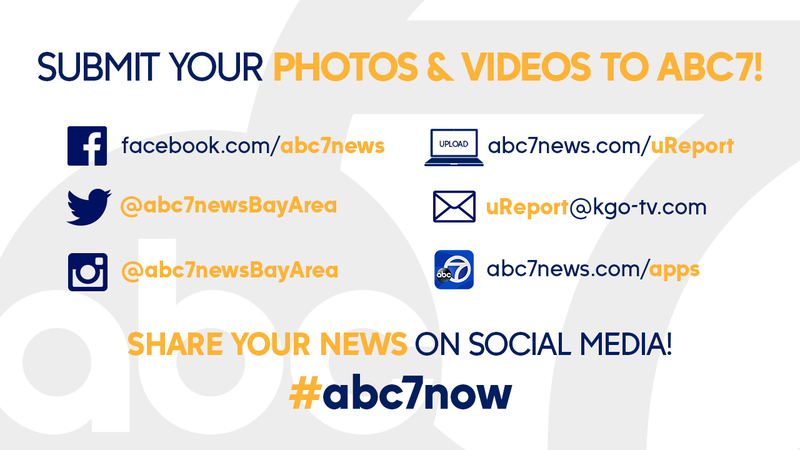 However, it is the first reported in the Bay itself this year.